Alan Morrison was last seen on Christmas Eve. The police have made a fresh appeal for witnesses as they try to trace a Moray man who has not been seen since Christmas Eve. 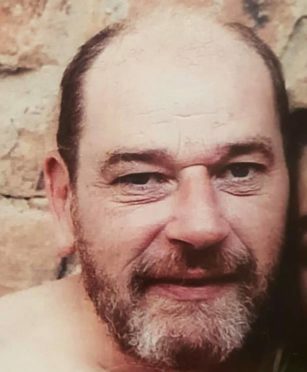 Alan Morrison, 47, was reported missing from the Buckie area and was last seen by family members about three weeks ago on December 24. Mr Morrison is described as being about five feet nine inches tall and is of medium build. His hair is short, dark and receding and he has a beard. He is believed to be wearing black Adidas Samba trainers, a long sleeved dark colour t-shirt, a navy padded jacket and may also be wearing a beanie hat and gloves. Described as a heavy smoker, the police believe there are genuine concerns for the wellbeing of Mr Morrison. Anyone with any information on his current whereabouts is being urged to call 101.